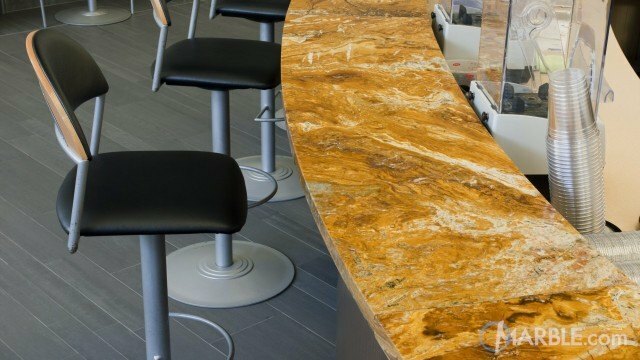 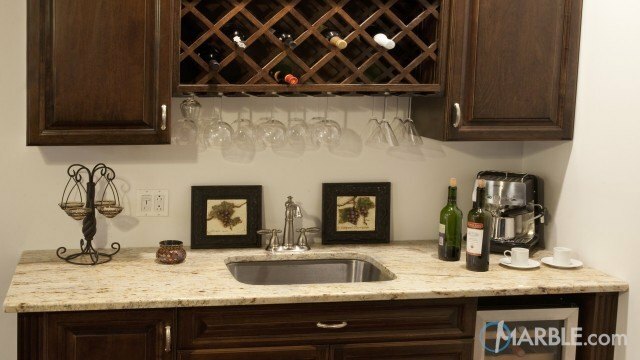 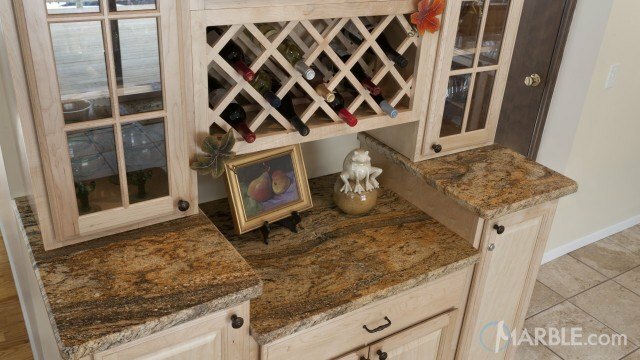 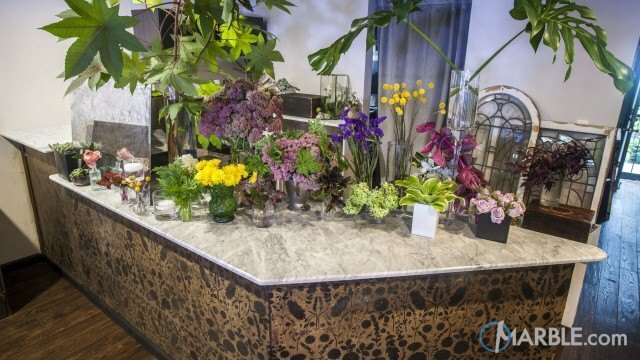 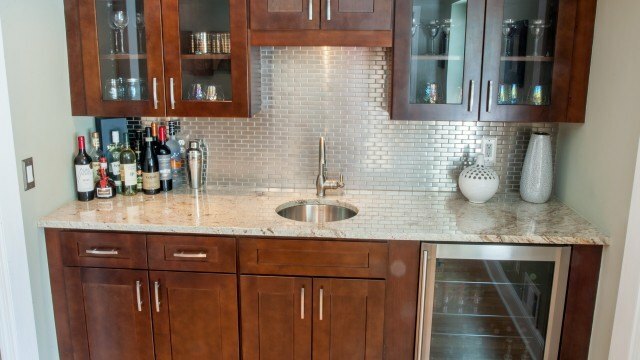 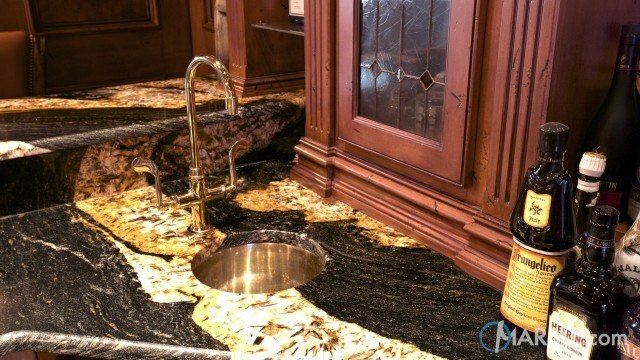 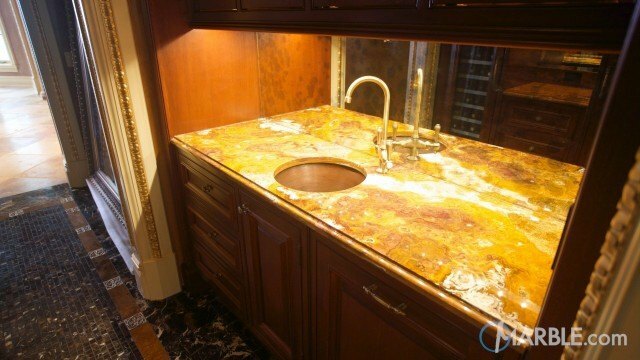 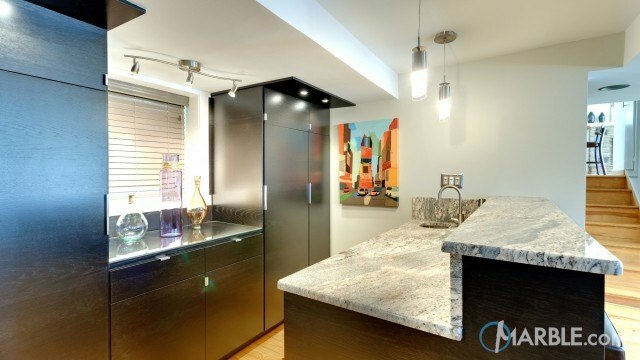 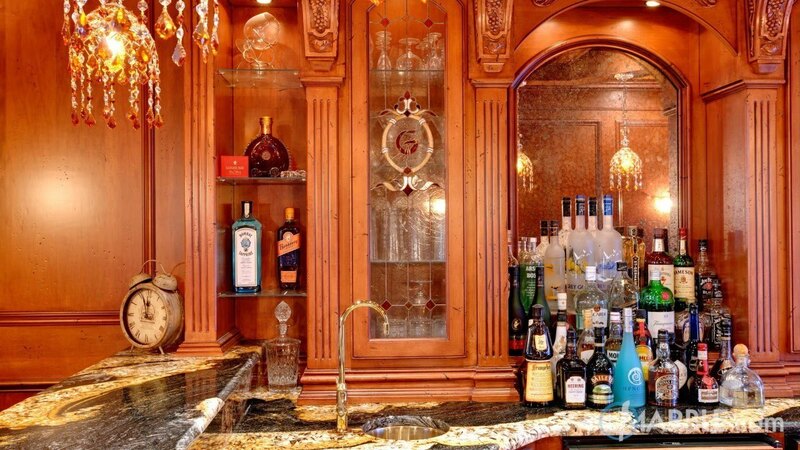 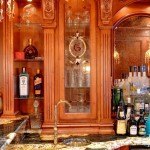 Invoking thoughts of elegant bars in Hollywood hotels, this Altair granite counter top with a Half Bullnose Edge complements the gold wood of the bar cabinets. 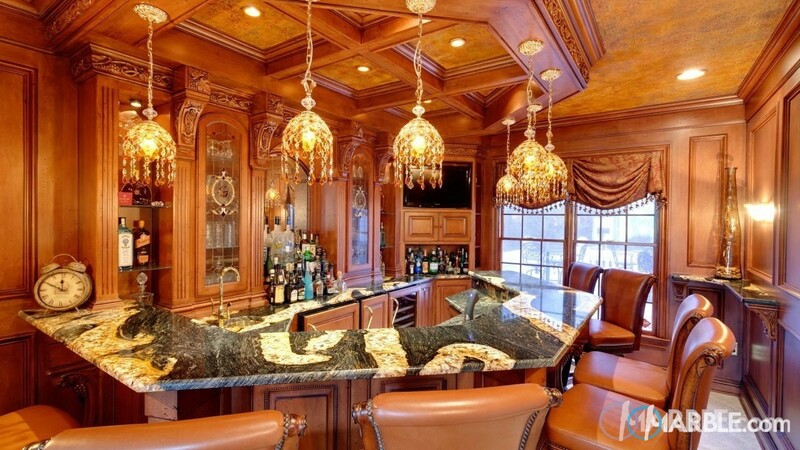 The chandeliers are reflected in the granite and highlight the elegantly designed glass. 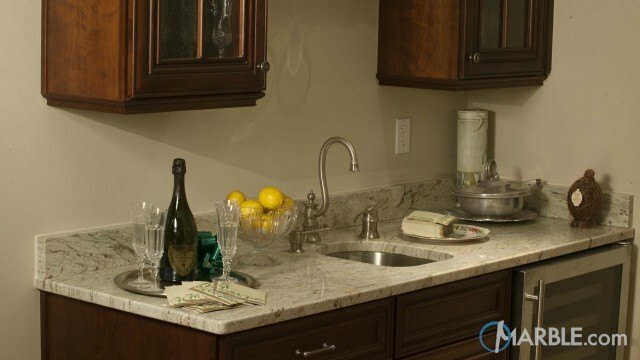 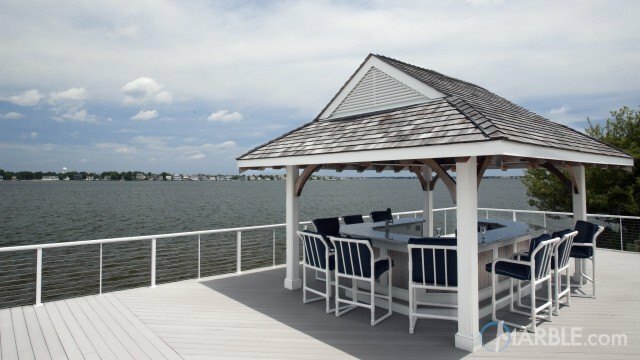 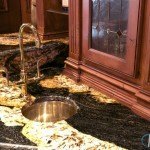 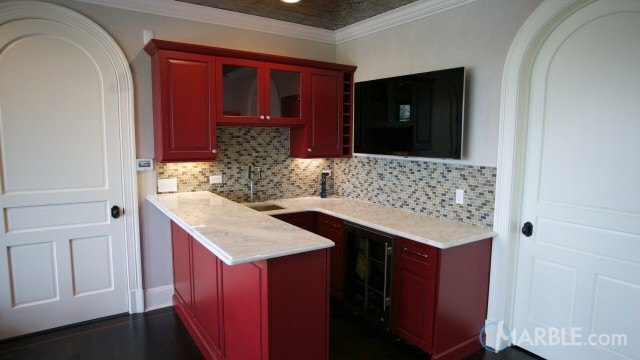 Altair granite resists scratches and heat, which allows its beauty to last for generations.